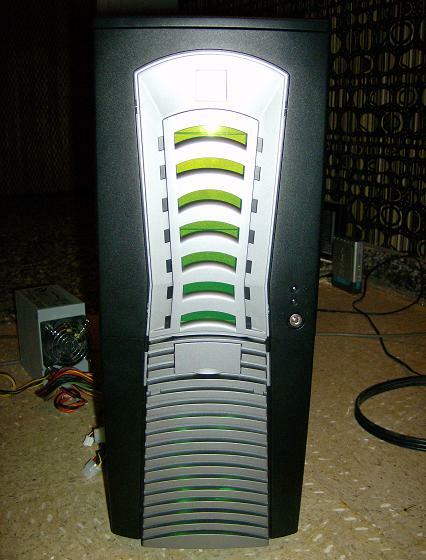 The starting point of this mod is a Chenming 602. The first thing I did was cut out the "vent" area in the front drive bay door. 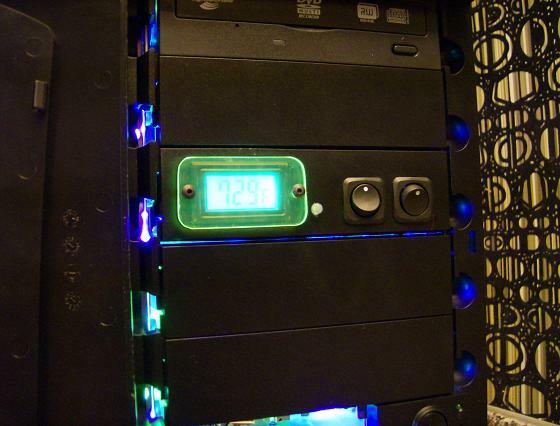 I filled the opening with some green UV plexiglass. 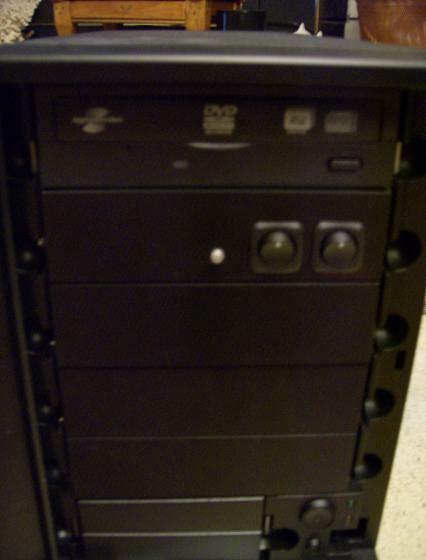 A fullview of the front panel. 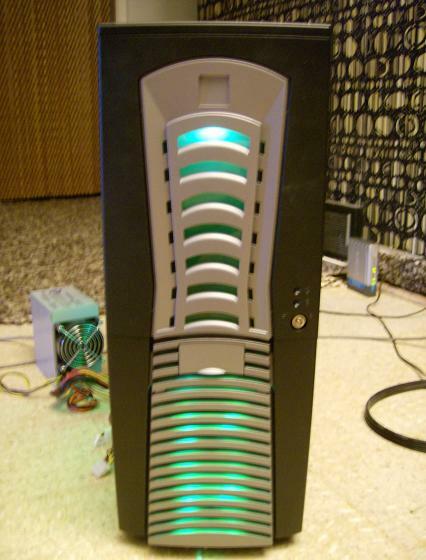 A single blue LED lights the door panel from behind, with a pair of green 80mm LED fans below. A basic switch panel with toggle switches for interior lighting and the LED for the door panel. 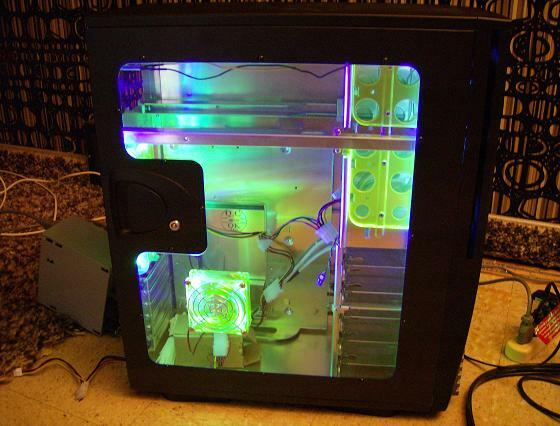 Interior lighting consists of a pair of UV "Meteor" LED light bars and green LED fans. A temperature probe added to the switch panel. This will be set up to measure the CPU temperature when the machine is assembled. 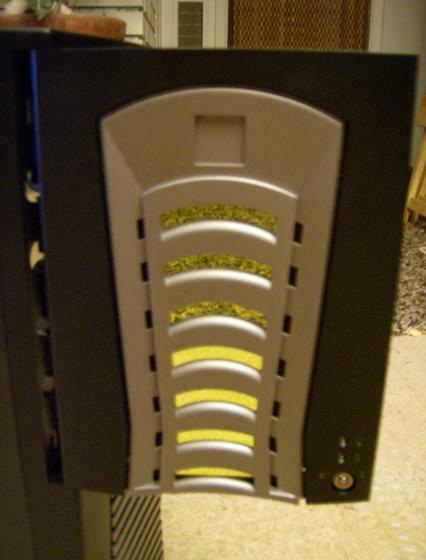 I've purchased the innards of my little brother's computer, Imperator. I'd like to get a faster processor, but other than that it's a pretty good machine.